Wonder is about a 5th grader named Auggie with a facial deformity called Treacher Collins Syndrome. Based on R.J. Palacio’s 2012 novel, the film is about his struggle to deal with the often cruel reactions of others while learning to make friends and getting a handle on trusting others. It’s also about his daily efforts to learn how to express the better parts of himself despite the meanness he’s often confronted with. Wonder is a very well done movie. It has an interesting story, some exceptional characters, enough complexity within the characters to make all the important ones seem pretty real- and overall, I enjoyed it very much. I hated the last 15 minutes. That doesn’t mean you will or that it was actually objectively bad. But I hate when a movie drives its point down my throat and strips away its subtleties. I felt that Wonder was on the verge of doing that from start to finish but mostly avoided doing it until it got close to the finish line. That’s often the case with a heartwarming story. Since the director is focused more on connecting to your heart, it’s assumed you don’t have the brains to draw from the movie whatever its message happens to be. So you’re sledgehammered with the message instead of allowing it to gently play out on the screen. I know that detracts from this movie for me. But if I were reviewing this for Rotten Tomatoes, it would still get a Thumbs Up. So how’s this- not as good as it would have been had they not given it such a sappy ending but still well worth seeing. When you see this movie, you’ll be seeing an excellent cast. Is it a little wasted? Perhaps- you don’t really need Julia Roberts to play the always supportive mother. She plays a pretty stock character with great compassion and she’s Julia Roberts- she plays mother Isabel perfectly. Owen Wilson is fine as Nate, Auggie’s dad. I have no complaints with either actor or that such talented, successful stars were cast. The roles simply weren’t all that challenging and could have been done well by many lesser known actors. 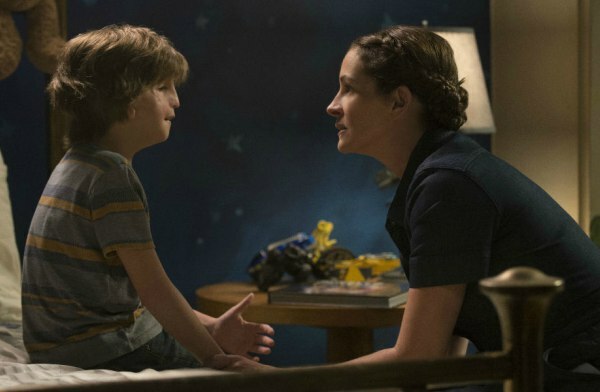 The movie hinges on the role of Auggie, played by Jacob Tremblay. If he misses incredible, he nails exceptional- just an outstanding job by this 11 year old. I guarantee we’ll see more of him in the future. The problem for me is that the movie- despite my never seeing one that specifically deals with facial deformities- plays just like dozen of other movies I’ve seen where the character is dealing with something that parts of society are uncomfortable with. 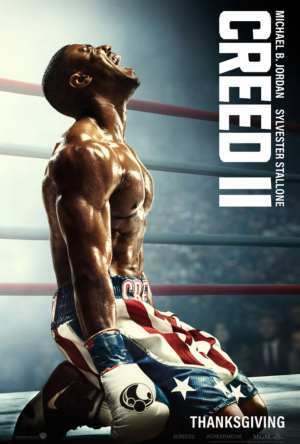 Whether it’s coming back from an injury or illness, facing discrimination because of something that society is still coming to terms with, or losing something or somebody you love, there are so many similarities in these kinds of movies they tend to be as predictable as a Hallmark film. It makes a very important point- we should focus more on being kind than being right but there was never anything right about treating Auggie disrespectfully. Yes, he has a facial deformity but he’s rather bright and other than being a bit self-centered, deserves none of the barbs thrown his way. There will likely always be an issue with mean people and bullies so there’s always a reason and a market for making a movie like this. Actually, my favorite story line in the movie deals with Auggie’s sister, Via played brilliantly by Izabela Vidovic. She portrays a wonderful, supportive sister whose parents definitely give her younger brother most of their time and attention. She says that he’s the sun and everybody else simply orbits around him. The entirety of the movie shows that to be true but she deals with it with compassion and insight. Her story line – while it’s not ultimately less predictable, it is more fresh. The mostly ignored sibling who either accepts it without noticing or becomes an angry criminal is common to many films. Via’s reaction is less common and therefore a welcome change. If you or someone you love is going through a major trial, this could be a very inspirational movie. Otherwise, I’d recommend waiting till it hits Netflix.